Mitsuwa Marketplace is a very large Japanese grocery, with five locations across the USA, and so well stocked that my mother-in-law’s friends in New York City know of the place. This grocery is pretty close to where Cupertino and San Jose meet, so much so that when I asked where it was, my brother-in-law said Cupertino. We stopped, in part because my brother-in-law was lusting to shop there, in part to just check the place out. 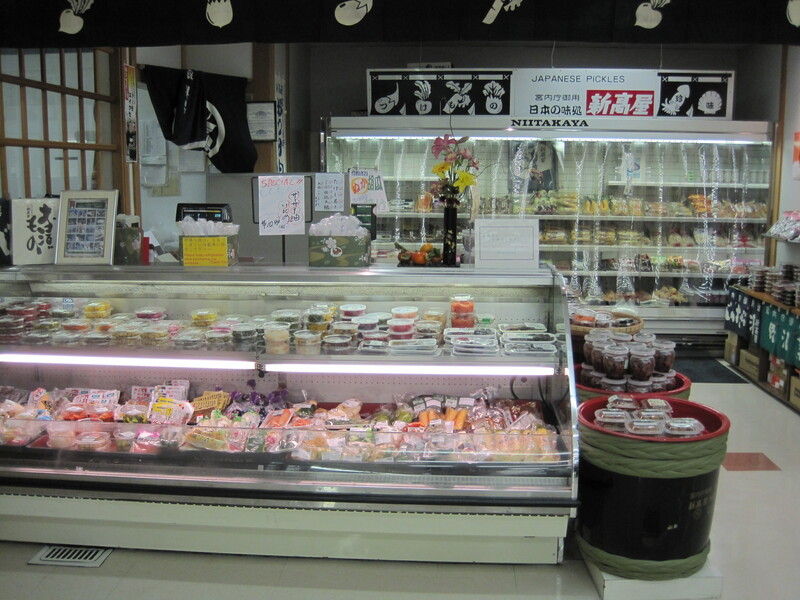 There are two restaurants, one bakery and a small shop that sells Japanese pickles inside the store. 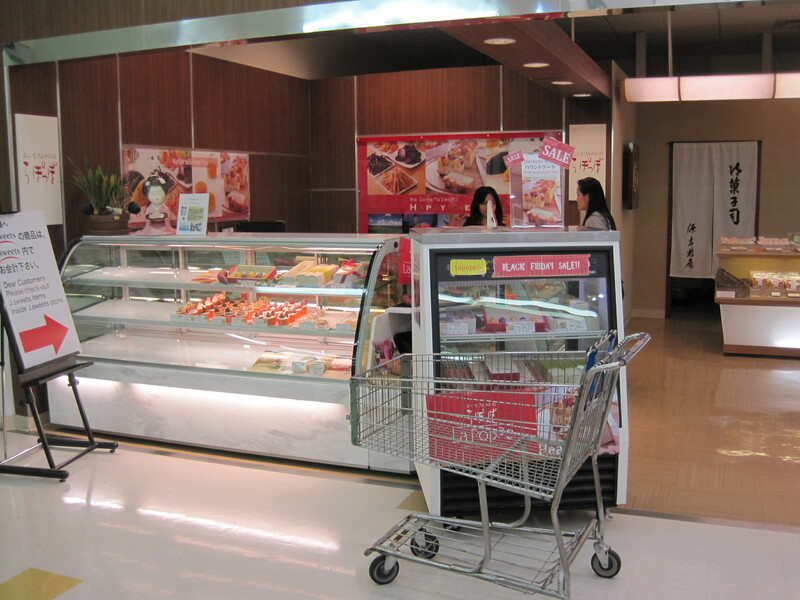 Compared to the setup of a Korean superstore, the produce and meat sections are relatively small. What the meat section does focus on is highly graded beef. 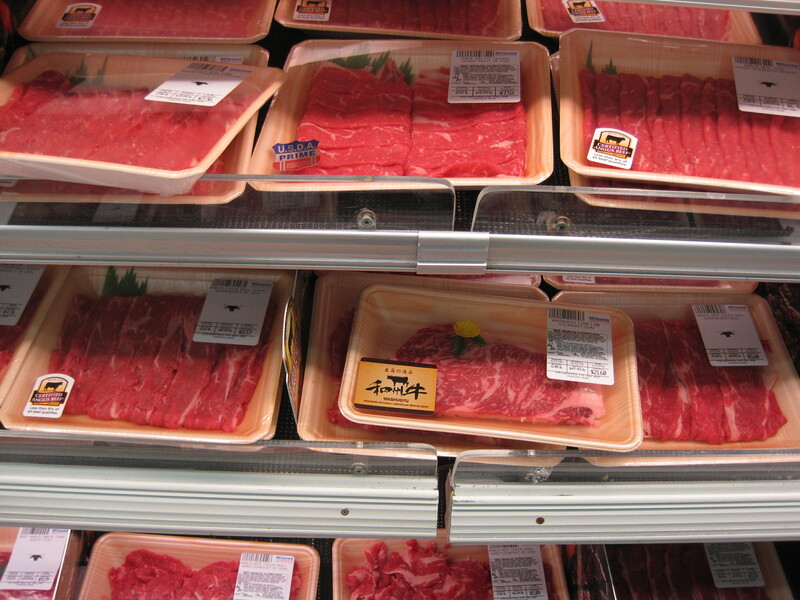 The overwhelming majority of the meat offered is prime or Wagyu beef ( Wagyu most often in the form of American Kobe). The lowest grade I could find offered was “certified Angus“, which minimally is better choice or prime. A considerable portion of the meat was already cut for use as shabu-shabu. 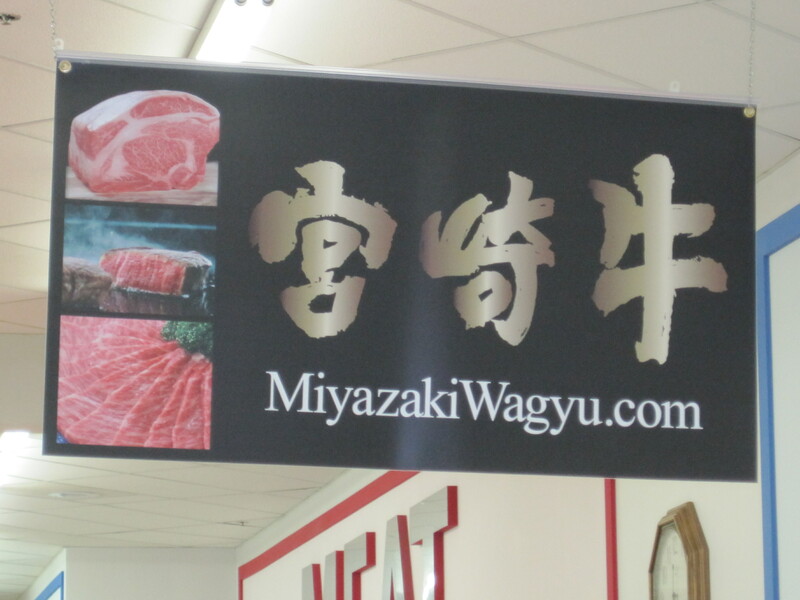 Certified Angus or better, Mitsuwa largely sells very high grade beef. The restaurants were Ramen shops. As is almost universal in the Bay area, the prices were much cheaper than anything Japanese in Atlanta and they all had display cases to advertise their food. 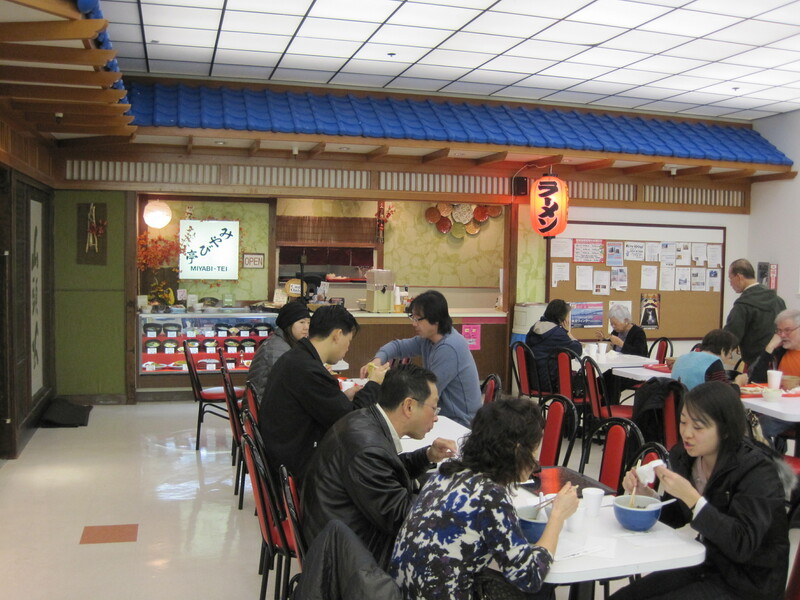 From reading various newspaper articles posted in Mitsuwa bulletin boards, the food was pretty well received in the area. They had alcohols the like of which I had never seen before, some distilled from fermented buckwheat, others from other grains. 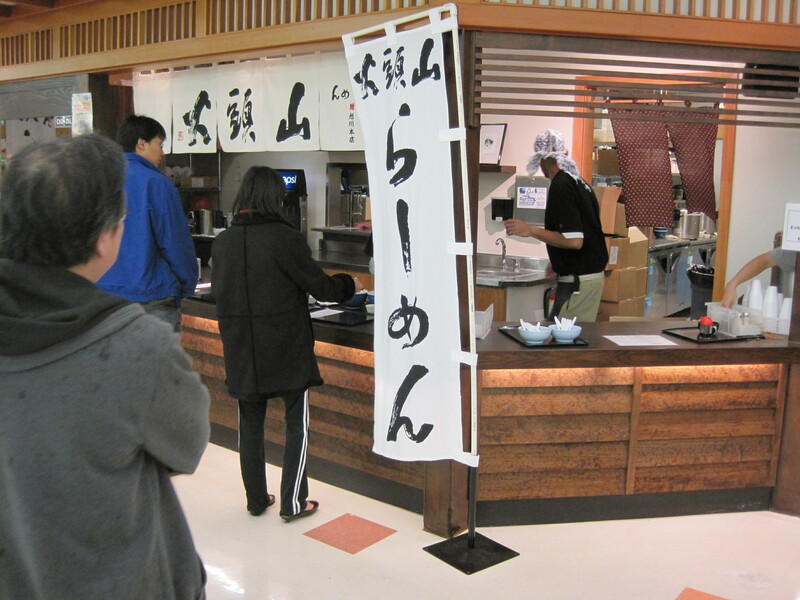 A couple minutes in Mitsuwa will dispell any notion that Japanese alcohols begin with beer and end with sake. There are prepared foods, whole bento for those on the go and the bakery, nice as it was, was stripped during the Thanksgiving holidays. In terms of size, as large as this store was, it could have fit entirely in the produce section of one of the larger Korean marts in Atlanta. The use of space in this store is very efficient, not wasted. The majority of space is reserved for items not requiring refrigeration.